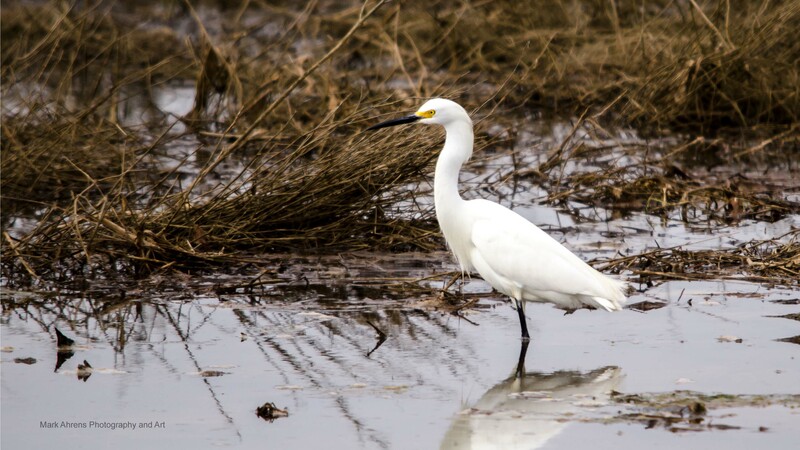 Juvenile Snowy Egret continues to build its hunting/fishing skills in the new wetlands marsh on the northwest acerage associated with the Arcata Wildlife Sanctuary. Arcata, California. Settling down on the water surface, Mallard Drake rises and thrashes his wings while throwing beads of water which appear as crystals mixed into a torrent of splashes. 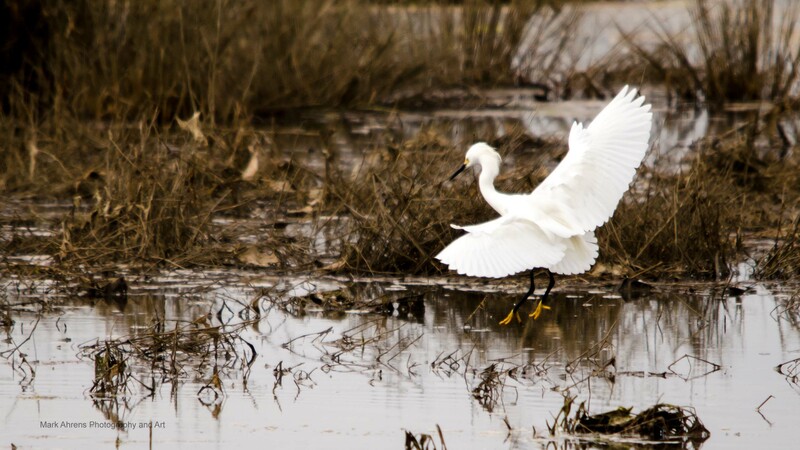 Some folks see Egrets as regal, others think they are scary, in either case, the Snowy Egret is a patient, stealthy, swift acting skilled hunter as this image demonstrates. Teal (green-winged, blue-winged, and cinnamon) seem to be to ducks what the Labrador Retriever (golden, yellow, black, and chocolate]) are to canines. Iridescent green flash the head and under wing of this well groomed drake.